Ho-Ho-Ho! It's Christmas time and New Year is coming, so we've prepared 30% Off on any subscription plans. So, hurry up to get our templates and extensions for reduced price. 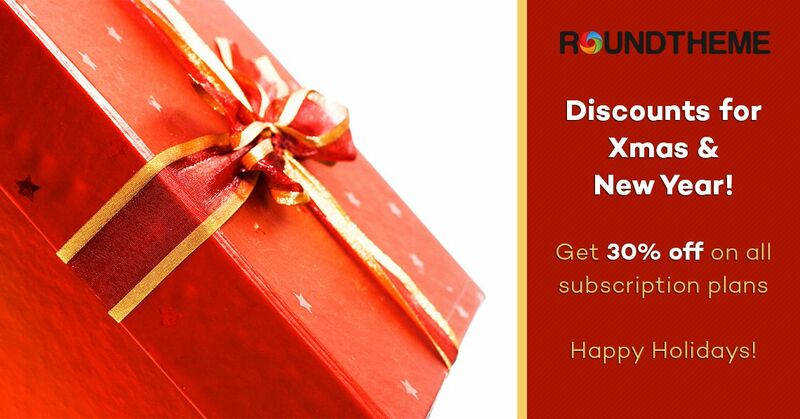 The coupon is valid until 5 January, 2016 and can be used with any subscription plan. Please note it is not working with single product due to its minimail price ($10-15). JoomPlace offers a great opportunity to save big while purchasing any Joomla! Extension in its store during Holiday season.